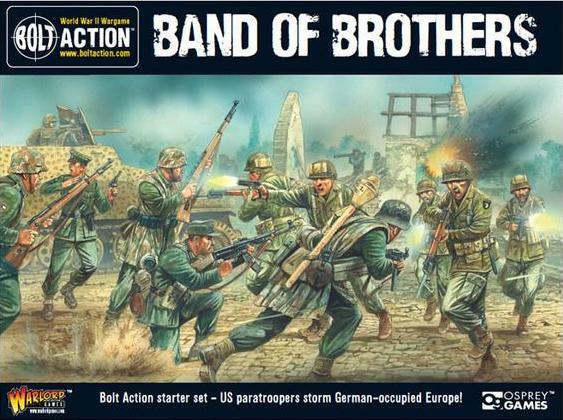 Combat Patrol Cards for Band of Brothers Starter Set | H.A.W.K.S. Greg, one of the guys in our gaming group, suggested that I create a set of cards for the units in this starter set. Warlord released the starter set along with Bolt Action 2. It appears that a number of Bolt Acton players have been attracted to Combat Patrol. I created a set of unit cards for the units that come in this set. You can download them from the Combat Patrol Web page, print them, cut them out, and use them to try Combat Patrol. Scroll down to the free stuff toward the bottom of the page. Enjoy! This alone caused me to buy the set!